While Millennials have taken over the marketing spotlight in recent years, their younger peers called the iGeneration are beginning to come of age and catch the attention of marketers. This is especially true for travel brands that see the huge influence these teens already have on family travel decisions, as well as how they use experiences as a form of personal expression. To help brands maximize their travel marketing by connecting with the needs of the iGeneration, MediaPost.com offered three ways for travel brands to grow on this young audience. The iGeneration has an especially mature and close relationship with their parents, with each side influencing the other tremendously. They listen to similar music, wear the same fashions, and share intimate aspects of their personal lives. The child’s significant role in the family has led to their overwhelming involvement and influence on family travel planning. In addition to having a large say in travel locations, teens also are directly involved with designing the family’s trip itinerary. This intense family bond offers many opportunities for travel brands to leverage this relationship and market to both generations. When addressing parents, travel brands can express empathy for these tight family bonds and praise their priority on family togetherness. Teens can be targeted with messages that empower them as eager travelers and involved family vacation planners. This will make teens feel important and encourage them to develop an early brand preference. And parents will surely appreciate how the travel brand teaches their teens about world geography and supports their family involvement, in addition to reducing the parental pressure to come up with new travel ideas. The iGeneration is the first to grow up with complete social media familiarity. But up until now, brands have focused on enhancing their current social media efforts or finding emerging platforms. But to connect with the iGeneration, travel brands need to explore the roles that social media is playing in their lives. Social media is no longer just a place to interact with friends and brands, it’s now a platform to curate and share a teen’s own personal brand. Travel brands can benefit from this view by taking on a larger role in how teens express, share, and curate their individuality via social media. Then, a brand can speak to their social motivations and create content that meets their needs. Interestingly, a Mintel study discovered that the most sought-after social content by the iGeneration included humorous, artistic, musical, and cute kinds of content. Along with serving as a source of entertainment, this content also is used to help these young people develop their personal brands. Its highly sharable nature allows them to express their brands effectively across the social network. To address this generation’s social needs, travel brands should start creating compelling content that can be used to define a user’s personal brand in very engaging ways that promote sharability among both users and their networks. The iGeneration thrives on collecting experiences more than possessions and bringing their personal preferences to each experience they encounter. While previous generations defined their image by the luxury items they owned, the iGeneration finds status in their timelines, filled with experiences, on their social media networks. This experiential attitude is perfectly suited for travel marketing experts, who promote the value of their brands through the experiences they offer. Rather than view a vacation as a single trip, travel brands should position them as a series of personal experiences and an authentic look at a location’s land, culture, and customs. This kind of social content is exactly what the iGeneration wants to define their personal brands because it shows the moments and memories that have made them the people they are today. Since the iGeneration uses experiences to capture their character, travel marketers should convey their brand’s qualities through compelling content about the experiences found within the brand and locale. This will provide an abundance of sharable content that the iGeneration can use to express its individuality. 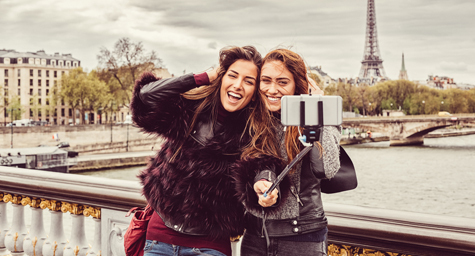 With the iGeneration poised to become the leading travelers of tomorrow, travel brands need to start creating meaningful connections and building strong relationships with this next generation of travelers. Discover how travel marketing can influence the iGeneration. Contact MDG Advertising.